You share everything with them. Tell them about us and be rewarded! Be a Citi primary cardmember to start referring your friends and family. 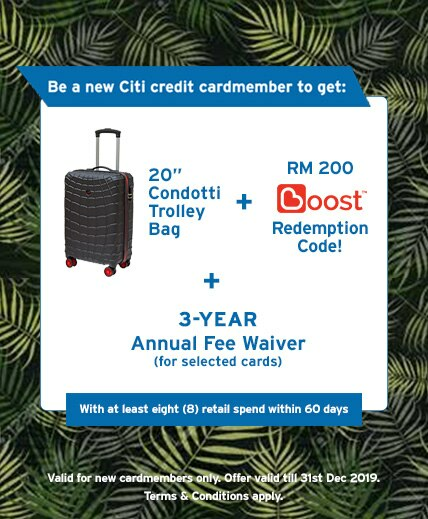 Offer valid for new cardmembers who apply online only. Valid till 31 December 2019. Enter your Name and NRIC no. Please fill in both full name and NRIC no. as shown on NRIC (for non-Malaysians who do not have an NRIC, please use full passport details). Failure to do so will result in the referral being invalid. Share this unique link with friends and family. By clicking to share, you acknowledge that: (a) you are agreeing to take part in Citibank's Referral (Member-Get-Member) Programme, (b) you are giving your consent to Citibank to process your personal data for purposes in relation to the Programme, including prize fulfillments, and (c) you agree to be bound by the Programme terms and conditions and relevant terms and conditions governing your access to Citibank Online (see below), as may be amended from time to time.